Broken! Lot of pieces and shards. 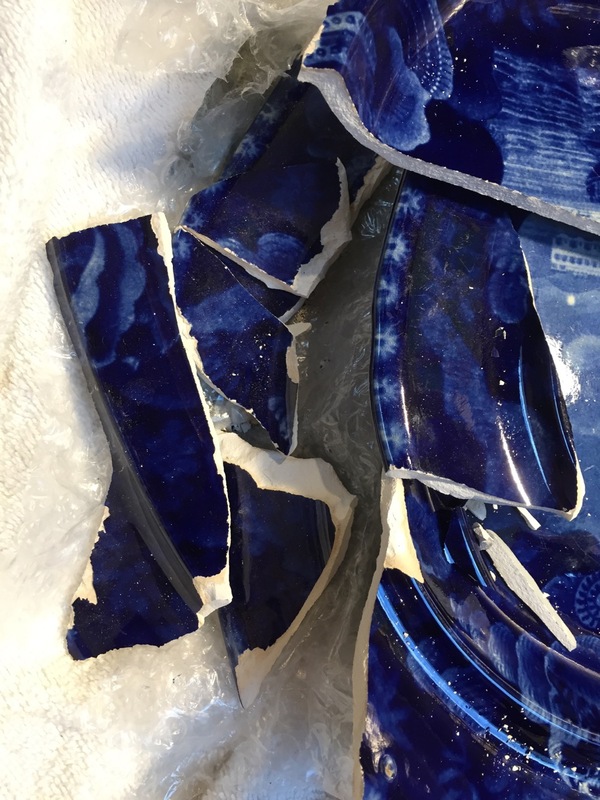 An 1820s transferware platter that I purchased arrived in many pieces. It was expensive, but for me the cost was outweighed by the sadness of seeing such a lovely old item irreparably damaged. The box was too small. There wasn't enough room between the edges of the platter and the sides of the box. Although the platter was wrapped in bubble wrap, there wasn't enough of it. And, there were no styrofoam bits surrounding it. The only cushioning was the white towel you see in the photo. 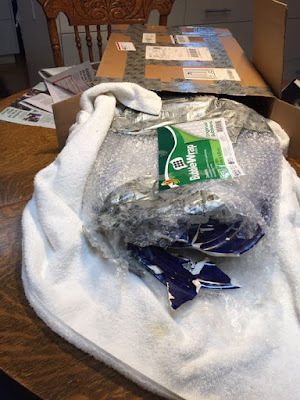 All of the items in the front, the platter, the bubble wrap, and the towel, were stuffed in the box you see behind them. Thus, I thought I'd write some directions for wrapping fragile things. 1. Never skimp on the size of the box. Bigger is better. 2. Wrap the item in lots of bubble wrap. 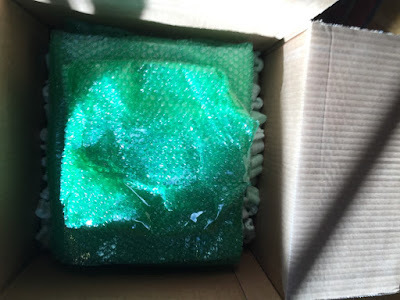 I usually use small bubble wrap, but large bubble wrap is fine. 3. Find a box that is large enough so that the item is not too close to the sides. I suggesting wrapping the item first. Then you can see how it fits in the box. Wrap the item before you decide on the size of the box. The piece here is an oval vegetable bowl, so I added styrofoam (polystyrene) bits to the center for more cushioning. 4. Fill the bottom of the box with styrofoam, and put the item in the box. 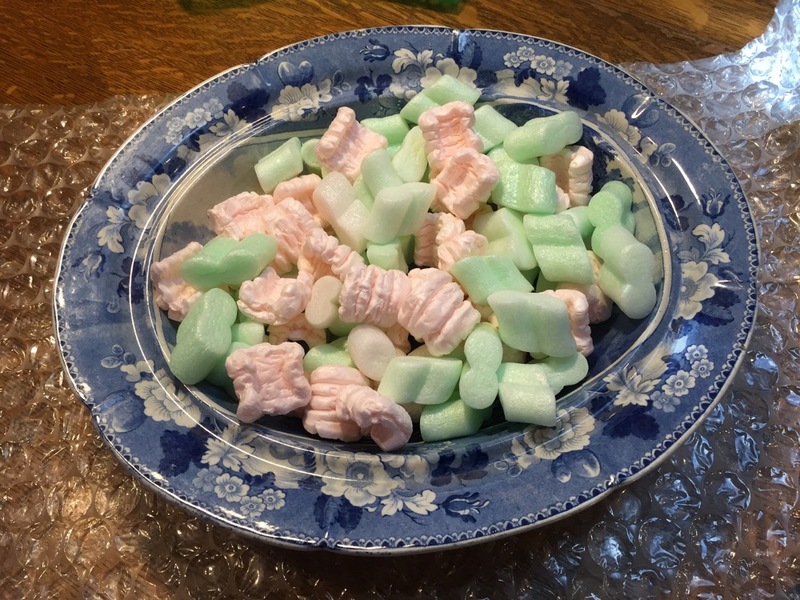 Pour styrofoam around the item. Make sure there is plenty of cushioning on the sides of the item and on top. You may need to use your hands to make sure the bits are settled around the pottery. Pour some styrofoam into the box. Enough to cover the bottom and another few inches. Place the wrapped item into the box. 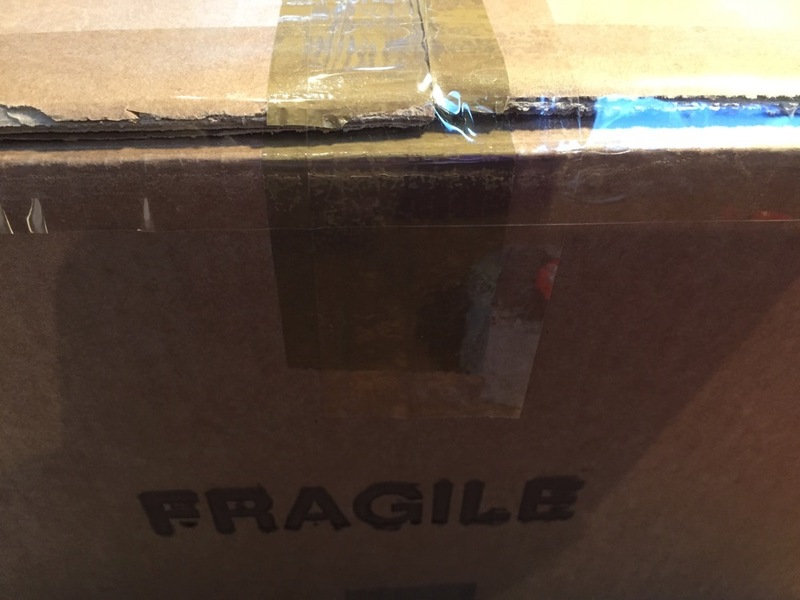 Make sure there is plenty of room between the sides of the box and the fragile item. Fill the box with styrofoam. Completely cover the item. Then, use your hands to make sure there is plenty of styrofoam around the pottery. 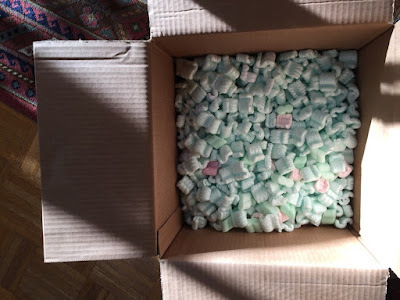 I even shake the box a little, as there may be settling of the styrofoam during shipping. 5. Now your are ready to tape up the box. The top is important, but don't forget the bottom. I have received boxes with lots of tape on the top and only one tiny piece on the bottom. 6. Cover all openings of the box with tape. I usually overdo this. Make sure you cover all openings of the box: top, sides, and bottom! The "fragile" stamp is nice, but I really like a bright orange sticker. That's it. Also, it is good to insure any items over $100. In case you are interested, here's a photo of the item I packed. 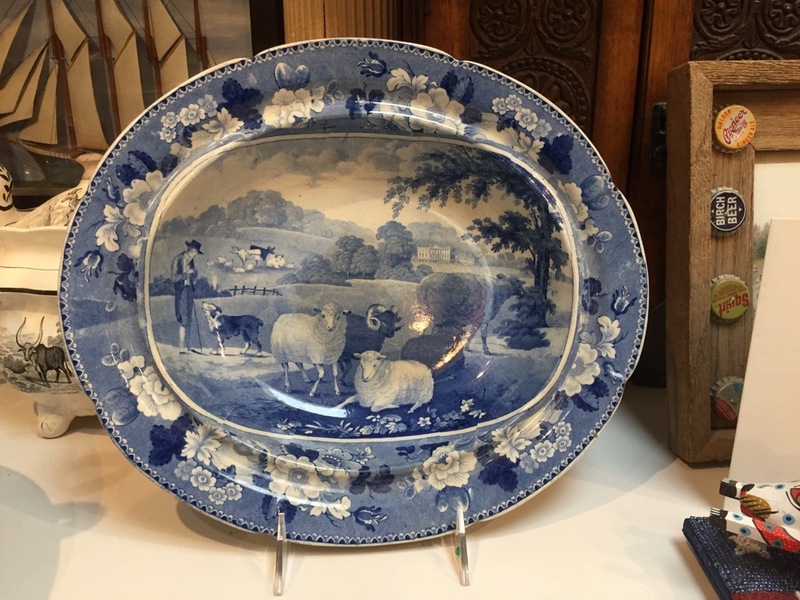 It is an oval vegetable dish that is part of the circa 1820s "Domestic Cattle" Series. It arrived at its destination in one piece! "Domestic Cattle" oval vegetable dish, ca. 1820. OK, I'm an eBay seller of several years standing and have wrapped and sent hundreds of fragile items in that time. I use mainly recycled materials (and the occasional box I obtained from someone who worked at a box factory. I have had two breakages that I can remember in that time and there is no excuse! Both were my own fault, although the most recent was a huge vase and while I packed it well, it managed to sink through the packing in transit, which gave me valuable insights for larger items. I pack holloware with newspaper. I loosely scrunch the paper into balls to fill voids. I then wrap in a sheet of tissue paper and give a cursory wrap in bubble wrap that I get from the fruit trays in the Aldi next door. I select a box that is not too big. For plates, I find that the boxes pizzas are shipped in to your local convenience stores are excellent. I don't use shrimps, these can move if you cant get get enough of them and besides, they are not biodegradable. I pack out the box with scrunched newspaper. That is all. Never lost a plate! For sets, I sandwich a sheet of bubbble wrap and a double wall cardboard layer between the items. The most important thing is to ensure your packing is rigid. I prefer paper because it is light but it retains a good shape and will absorb movement easily. Local papers and the used car mags from supermarkets are great, the paper is slightly heavier and absorbs knocks easier. Do not leave too much space around your item, a couple of inches is ample. If your box is too big and you haven't packed it out well enough, the item will settle through any material. Gravity is your worst enemy on a long trip, not the postman. 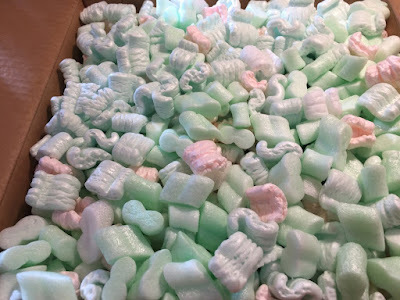 I rarely use any cushioning around points, lugs/handles or edges near the sides of the box apart from maybe some extra bubble wrap or cardboard. I constantly receive good feedback congratulating me on my packing, so I must be doing it right! Thank you so much for taking the time to add information to my post. I always learn from other dealers. If you look at my photos that show styrofoam, you'll see from the multitude of colors that I reuse what has come to me. I'll add that packing peanuts are available made from cornstarch. I use these too, but learned not to store them outside, as the rats found them delicious! Cornstarch is definitely recyclable. 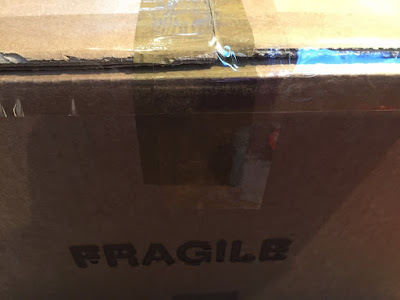 I cut up cardboard boxes and glue pieces to fit on the inside walls and gaps in flaps of the box I ship fragile items in, especially USPS Priority Boxes, which are not very sturdy. Double boxing is also good. USPS recommends 2" between the item and the box. I like to use large size bubble wrap and packing pillows, available at a city recycler for free. Pack tight and close the box & shake, if anything moves, repack. I also tape not just the center seam, but the sides, too. Boxes shaped like cubes are the strongest. Thank you for the excellent advice. 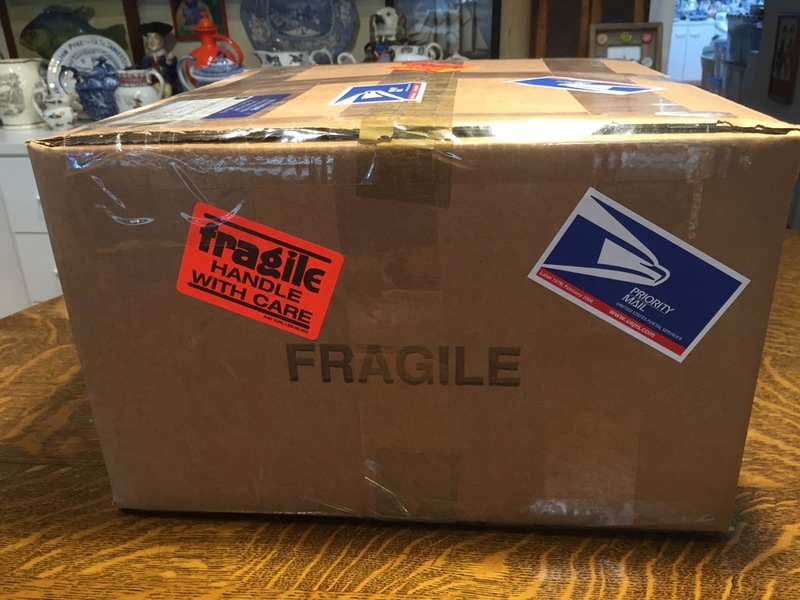 As you know, you can't be too careful when you ship fragile things. I always tape all of the seams too. There is no such thing as too much tape! I learned many years ago from a friend who had worked distribution at UPS that peanuts alone don't always work well and as the first commented said, things tend to move with just peanuts. Their solution was to mix peanuts with shredded paper. They tend to entangle and lock things in much more securely. Thanks! Such an excellent idea. - putting an (even well wrapped in bubble wrap) stack of plates sideways in a box: when the box is dropped in transit, the bottom and therefore the rim of all of the plates get a nasty shock. - packing cups (soup cups, teacups etc) inside of each other. When the package is compressed, f.i. because of something heavy on top, the upper cup will press down on the lower one, pushing it apart. Thanks for adding this additional information. Excellent! My daughter worked in insurance for a carrier and she found that most claims are from strike from a fork lift or simple crush where your box is on the bottom and gets crushed from the weight above it. Very little can be done to protect against the tines of a fork lift hitting your box however crush can be avoided by creating supports inside the box corners made from folded up pieces of cardboard to form vertical posts made from another cut up box. Simply fold up 2" triangles of cardboard to form posts as tall as your carton and place them in each corner to assist your box from being crushed. Sometimes I'll create an additional side liner from cut up sheets of cardboard folded around the inside edges of the box. Remember that the strength comes from where it folds. Please remember to keep the corrugations vertical for best crush resistance. Plenty of space and bubble wrap whilst remembering that sheets padding will allow your item to slide from side to side. Pack so that the item has to stay in the middle.